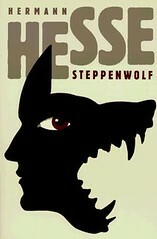 Steppenwolf is a famous novel penned by Swiss author Hermann Hesse who wrote in German. His three novels became very famous - Siddhartha, Steppenwolf and The Glass Bead Game (Magister Ludi). To prepare himself for this novel Hesse spent few months in isolation and as one becomes aware while reading this novel how realistically he has described the feelings of isolation and solitude. The title of the book is a reference to the lonely wolf of German steppes - that’s how the protagonist of the novel refers to himself as he thinks that he has two personalities, one of a person who socializes with his landlady and his ex-wife and the other of a lonely wolf wandering on his own. The protagonist Harry Haller of this novel lives alone and has his own world cut-off from the outside world. He comes in contact with Hermine, whom he meets in a bar. Their characters are built in such a way so that the contrast can be shown in their life. Strangely enough, they like the company of each other. Other characters such as the Pablo serve the purpose to show the Haller’s dislike of a world where everyone is keen on talking and meeting warmly with a person. Haller thinks that it is a way of life where a person does not think much and it is a superficial way to live. Still, Pablo makes Haller learn the important lesson of the life towards the climax. The main themes explored in this novel are isolation, a conflict between given and wanted life, bourgeois life, and purpose of the life. Many events of the book are kept ambiguous and there had been different interpretations of those events for decades now. Of many ambiguities is that whether the character of Hermine was real or Haller's figment of the imagination. The way he deduces her name in the bar may induce one to think that he was hallucinating. In a later edition of the book, Hesse comments in the foreword that it is not the job of an author to comment on the interpretations of his book, but even then he was surprised by what people have thought about this work. He did not think that too many people got it right. As suggested by the title itself of the book, one of the main themes is solitude and isolation. Haller lives alone and in this isolation, he becomes disenchanted with the world. He sees the world from a wolf’s eye and then nothing makes sense to him. Then he goes in the pursuit of finding satisfaction in his life on his own. He thinks that when a person thinks and acts on his own, only then can something fruitful and long-lasting can be achieved. Giving an example of Bourgeois society he says that too many people live identical life. If everybody thinks in the same way then society cannot progress. Somewhere someone while living in the skin of bourgeois has to act on his own to start something which society can follow. Then comes the conflict - how to become that person. Haller is fed up of the normal life that he is living. He thinks that he is destined to be someone big and important but languishing as the not-so-important person. In the end, his favorite musician, Mozart explains to him that life is full of compromises. If one sets out to be ideal, finds faults in what everyone and deems only what he himself does is correct, then life would become very difficult. In the climax of the novel, Haller is reconciled with this reality.